Sign up for Broadjam today to follow will wakefield, and be notified when they upload new stuff or update their news! 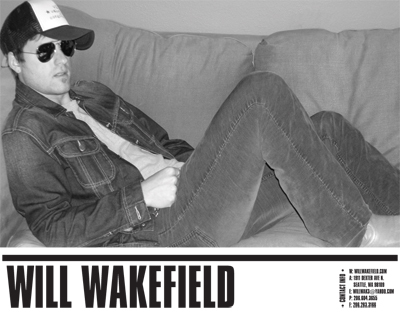 If songs can be compared to short stories, then singer/songwriter Will Wakefield’s new CD, “The Rise, The Fall, The Drama And The Rebirth” can best be seen as a novella, a short but intense tale of love and loss. A graduate of the Berklee College of Music, Will’s “day jobs” – at labels Sub Pop and Mack Avenue and working with the legendary band Yes on their 2002 US tour – never remove him from the musical milieu that feeds his muse. 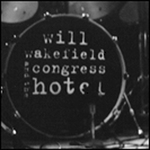 Based in Seattle, Will performs with his critically lauded band the Congress Hotel and have earned a dedicated following throughout the Northwest, performing at such well-known venues as the Showbox, and the Tractor Tavern. “If You Ever Go To Mars,” a track from Will’s debut LP, and most recently “Strangers,” and “I’m Sorry,” from his sophomore release, have received commercial airplay on Seattle’s flagship AAA station, KMTT. For updates information and tour dates, visit www.willwakefield.com. 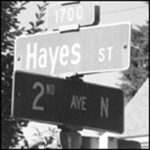 Contact willwak3@yahoo.com, 206-604-3655.